First World War recruitment poster; 'It's worth while! That's why. Buy War Savings Certificates'; published by the Scottish War Savings Committee, 92 Princes Street, Edinburgh; illustrator J P Beadle 1917; poster no.36. 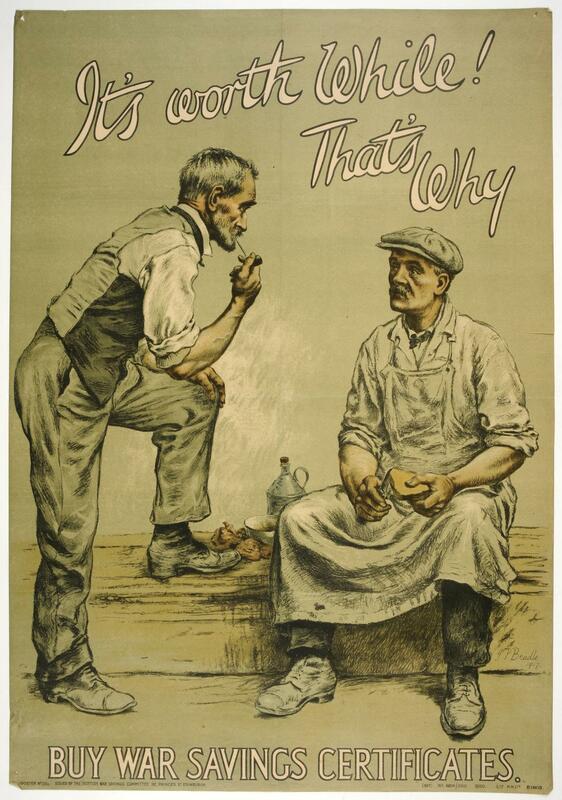 Poster for War Savings certificates, in which one working-class man urges another to invest in them. Brought out by the Scottish War Savings Committee.